My favorite memories during Christmas are baking with my mom and grandma! 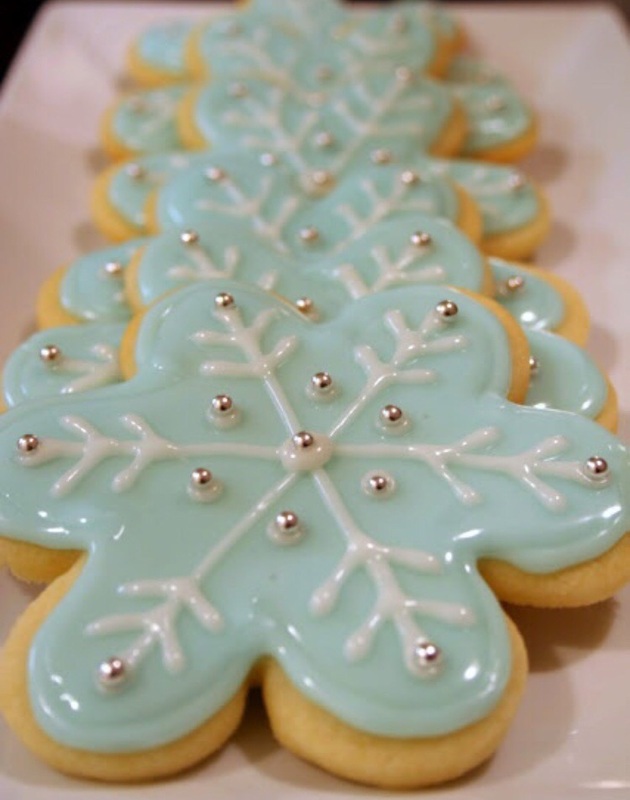 We use to bake sugar cookies in shapes of trees and snowflakes until we couldn't bake anymore. The frosting and glitter all over the kitchen always felt like home. There's something wonderful about making sweets with the ones you love. It brings so much happiness to the soul. I love how every family has their own traditions and recipes. I'm going to share a few sweet ones with you of mine! Would love to have you share yours too! Preheat the oven to 350. Combine the graham cracker crumbs and melted butter in a bowl. Press into the bottom of a 9-by-13-inch baking dish. Sprinkle pecans, chips and coconut on top. Pour the sweetened condensed milk over the mixture and bake for 30 minutes. Cool completely and cut into bars. Mom makes this every year! Now I'm going to take you on a little journey to France! My grandmother passed this recipe down to me. I'm happy to be able to share my French heritage with my children to come! It's not Christmas without this this waffle cookie. You will need a pizzelle iron. Gaufrettes are a French delicacy which have become very popular with top chefs. They are cast on an aluminum iron that makes a wafer with tiny waffle-like design of rich butter dough. The gaufrette, delicious on its own as a cookie, is traditionally served with wine on festive occasions. There are at least three different foods called "gaufrettes." One is waffles - Belgian waffles are called gaufrettes. Another is waffled french fried potatoes, which are called "pommes gaufrettes". And then there is this thin, almond flavored cookie similar to a pizzelle. Directions: mix all ingredients together. Cover in a bowl and chill in the refrigerator overnight. Heat up cookie iron. Use large teaspoons full! Cook until golden brown. Happy to share this recipe that means so much to me. Since we were talking about sugar cookies I thought I'd share a traditional recipe with you. Maybe you don't have a tradition yet! Try these with someone you love! The great news is there are no rules on how to decorate cookies! Let your mind run wild! Sift together flour, baking powder, and salt. Set aside. Place butter and sugar in large bowl of electric stand mixer and beat until light in color. Add egg and milkand beat to combine. Put mixer on low speed, gradually add flour, and beat until mixture pulls away from the side of the bowl. Divide the dough in half, wrap in waxed paper, and refrigerate for 2 hours. Sprinkle surface where you will roll out dough with powdered sugar. Remove 1 wrapped pack of dough from refrigerator at a time, sprinkle rolling pin with powdered sugar, and roll out dough to 1/4-inch thick. Move the dough around and check underneath frequently to make sure it is not sticking. If dough has warmed during rolling, place cold cookie sheet on top for 10 minutes to chill. Cut into desired shape, place at least 1-inch apart on greased baking sheet, parchment, or silicone baking mat, and bake for 7 to 9 minutes or until cookiesare just beginning to turn brown around the edges, rotating cookie sheet halfway through baking time. Let sit on baking sheet for 2 minutes after removal from oven and then move to complete cooling on wire rack. Serve as is or ice as desired. Store in airtight container for up to 1 week.